We have two fantastic nights coming up at Manchester235 and they both promise to start your weekend on a high. Always secretly wanted to be a rock star? 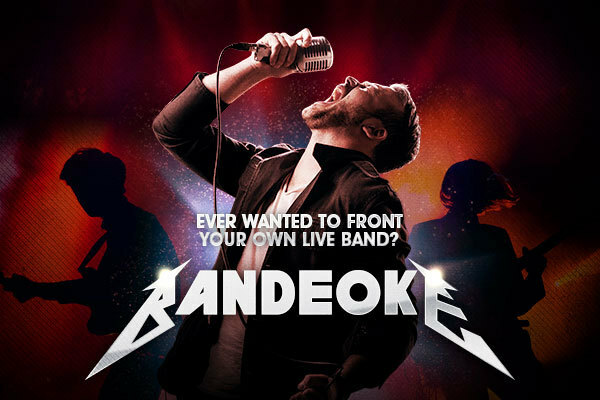 Whether you're dreaming of being Ozzy or Beyoncé, Bandeoke is your chance for five minutes of fame. It's karaoke – but with a live backing band. Sing your heart out on stage while the band plays alongside you and the crowd cheers you on. It's an experience to remember. Entry is free. Join us from 8pm on Friday 26 April in our events space. There'll be drinks offers all night including £9.98 bottles of prosecco and £9.98 buckets of cold Carlsberg. Vintage glamour, retro decadence, and good old-fashioned debauchery with a modern twist...this burlesque night produced by Bella Besame promises all three. These sassy, beautiful burlesque performers bring you a show packed with great choreography and fun routines. Add fantastic drinks and sumptuous food and you have all the ingredients of the Slippery Belle Burlesque Cabaret.